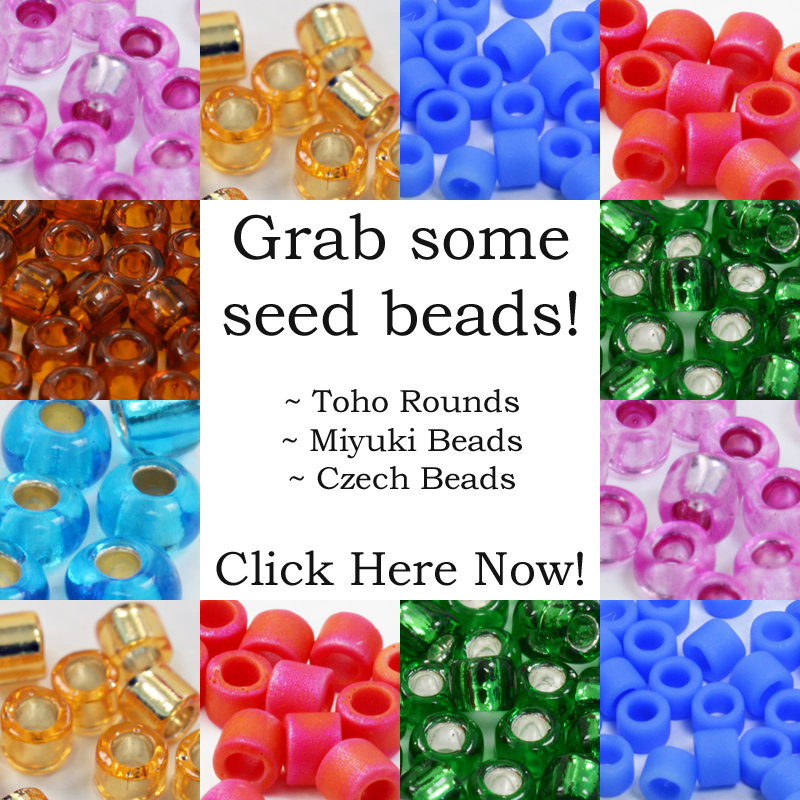 There are all kinds of areas of inspiration for beading , so I have been trying to take a look at some themes for you. In this blog I am focusing on beading patterns for food. 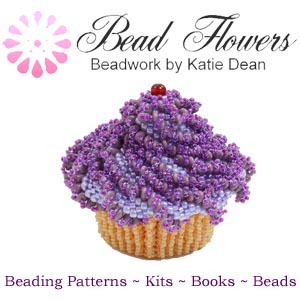 If you know my work, then you know my love of beading Sweet Treats (I wrote a whole book of beading patterns for cakes and desserts!). I have a confession to make: one thing led to another and I found more inspiration in savoury foods! So I want to share some of the beading patterns for food that I particularly love and hope they will inspire you too. My first choice is the and layers allow the distinctive food to be brought to life. 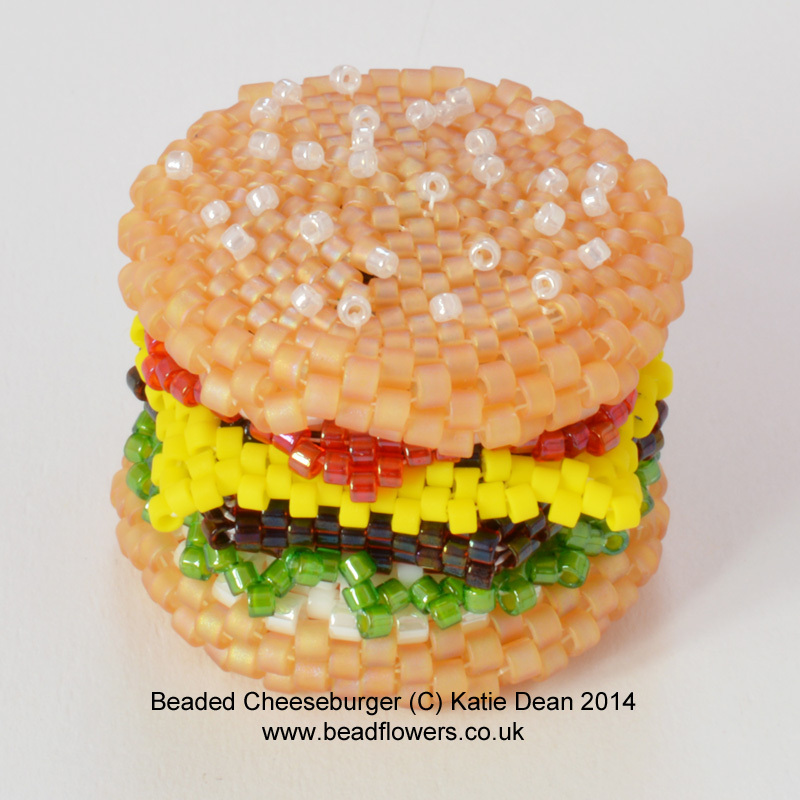 For this cheeseburger project you will be working in circular and tubular Peyote stitch. The pattern is suitable for beaders who feel confident using those techniques. The finished project is a couple of inches across, so makes a great pendant, handbag charm, or how about a fridge magnet? Pattern number two also uses a round shape, but this time think donuts. Only, forget donuts and go savoury…what do you get? – a bagel! Of course bagels can be filled with just about anything you like. It may just be me, but when someone talks about bagels and filling, I immediately think of smoked salmon and cream cheese. Not so easy to convey these in beads, but hopefully the association is strong enough to make the connection! Again, this pattern uses circular and tubular Peyote stitch and it is suitable for those who feel comfortable using those techniques. Number three keeps to the street food/snack/fast food theme. 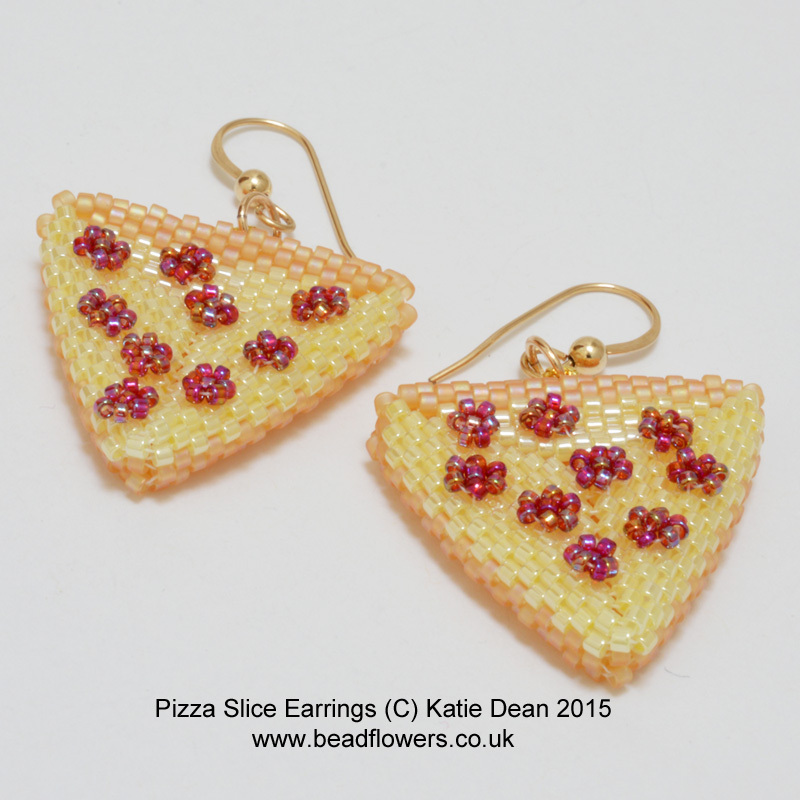 Pizza slices make great earrings! As with the bagel, pizza toppings can vary hugely. If you’re thinking in design terms, then forget trying to be too clever. I find that clip art is a great way of helping me to focus on what works in a beading design. The size means you need to keep things simple, so thinking in terms of cartoons is a good way to do this. Technically these pizza slice earrings have a Pepperoni topping, but who cares? – the important thing is that they are immediately recognisable. 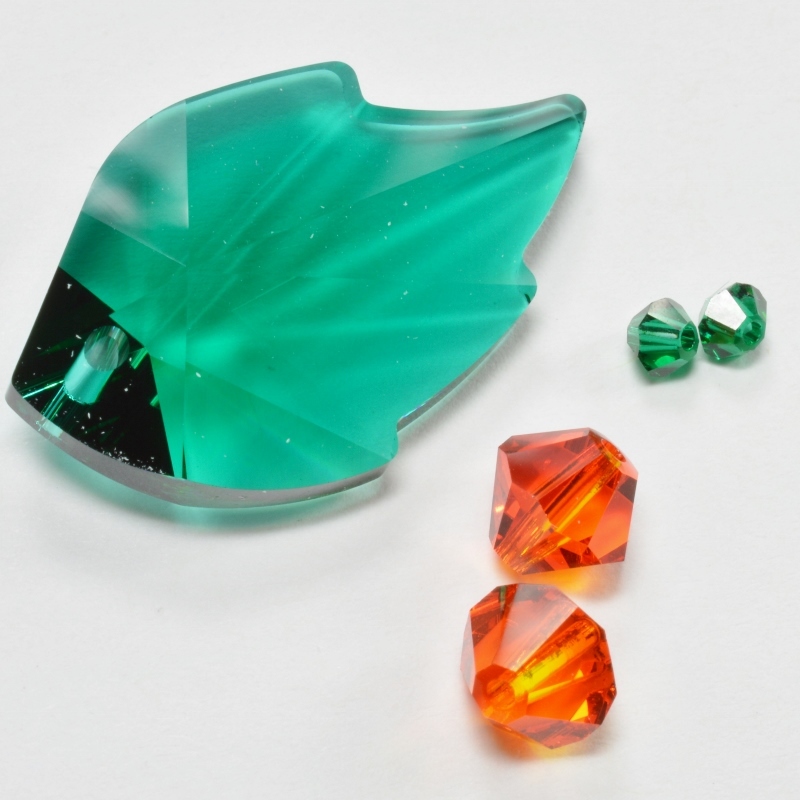 You will be working with small beads to make the earrings. Again, this is a Peyote stitch pattern, so it is good for anyone who enjoys that technique. 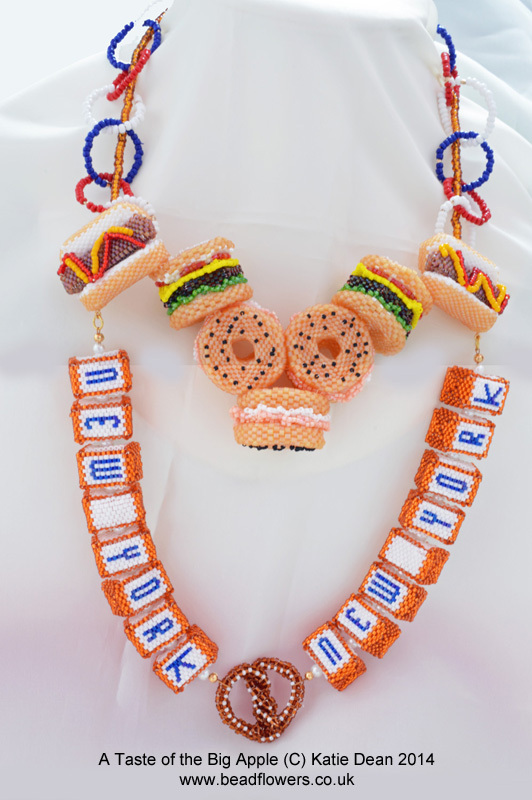 Fourthly, I’ll come full circle back to the burgers and this time give you beaded hot dogs. 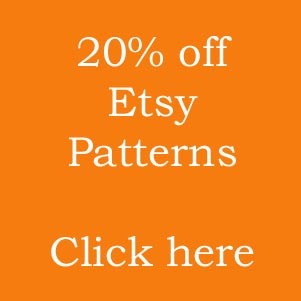 Believe it or not, this is another Peyote stitch pattern. You could be forgiven for not spotting this, but the shaping for these hot dogs is still created with tubular and circular Peyote. 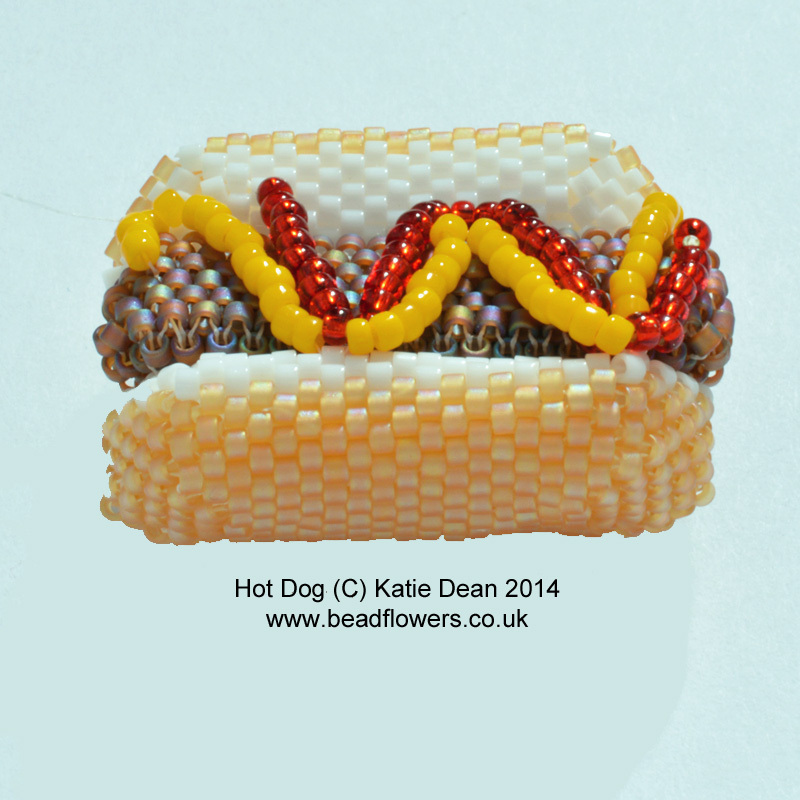 The pattern is made using delica beads and gives you the precise colouring so that your beaded hot dogs will look like the real thing. 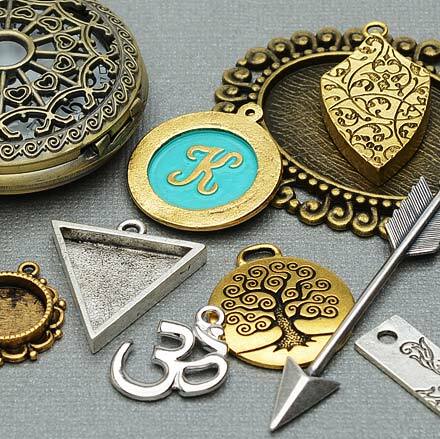 These measure about 2″ in length, so will certainly work well for necklaces, but could also be turned into earrings if you like to make a statement! Lastly, I’m leaving Western fast food behind and moving over to Asia. The idea for this beads themselves. Stitching Peanut (or Farfalle) beads together, I found myself thinking of rice. Now rice comes in many dishes, but somehow Sushi sprang to mind. This beading pattern uses several different types of beads to create the sushi textures. 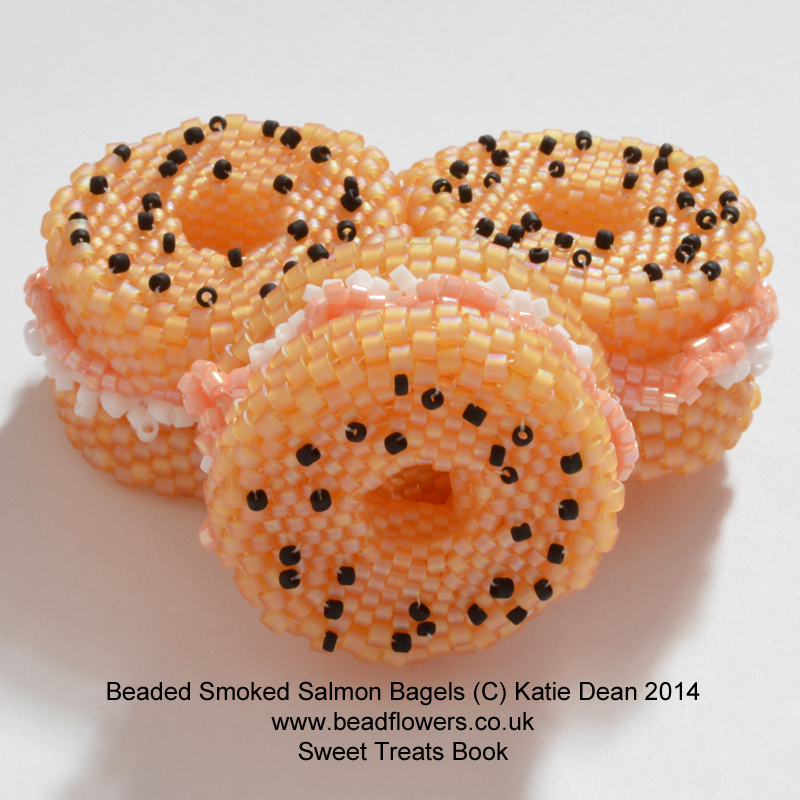 Delica beads guarantee the colouring remains accurate for the salmon and the seaweed wrapping. The peanut beads give the rice texture. You are going to be working in a number of techniques to make the necklace, so I would recommend this project for more advanced beaders. 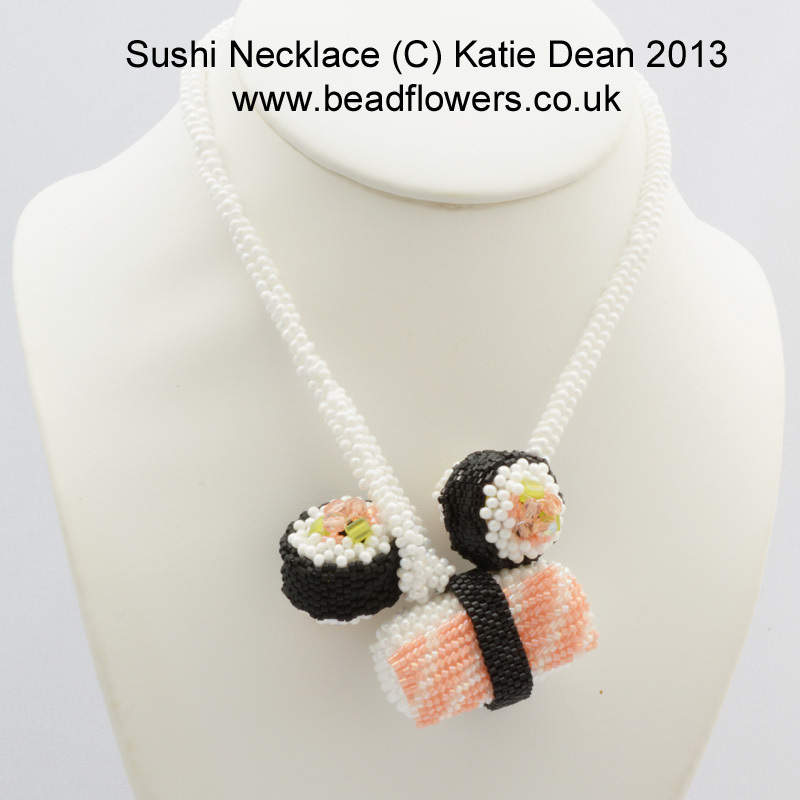 The sushi necklace is a classic shape, but will give you a real talking point! I hope those five beading patterns for food have whetted your appetite. One final thought for the day…there are no calories, fat, or any other bad things in beaded food, so you can indulge to your heart’s content! Bon Appetit!